Today is Valentine’s Day. The recipe I present today is very easy to do, but it is though a special gift coming from the heart, which can be easily and quickly used as a last minute surprise. I personally like to surprise my loved ones with homemade gifts. So what do you think about giving this heart to the ones you love? In the recipe I use almonds. If you are allergic to them or simply don’t like them just substitute nuts for the almonds. 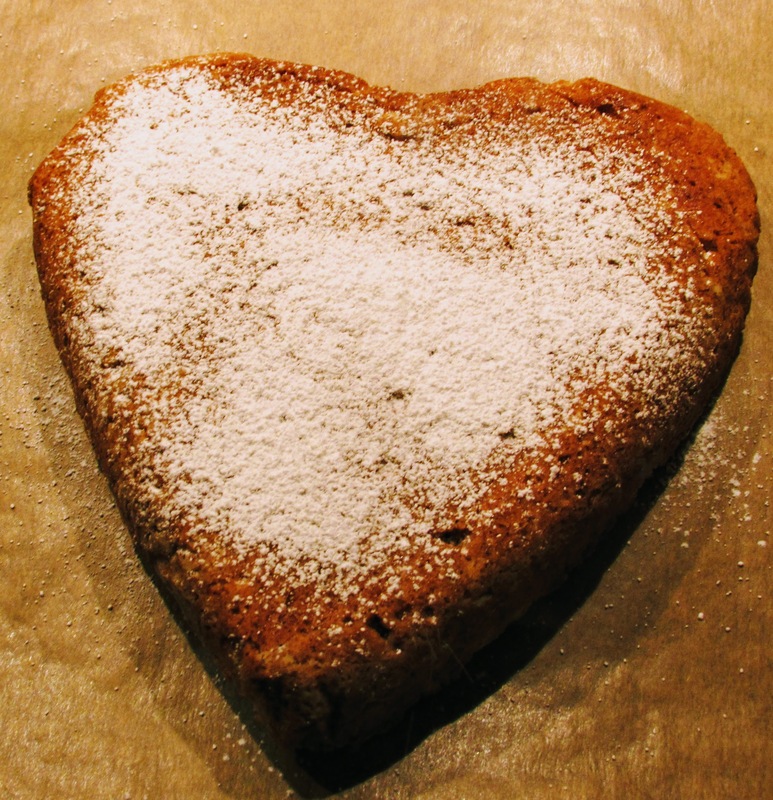 Furthermore I use spelt flour in this recipe. If this is not available you can use all-purpose flour instead. 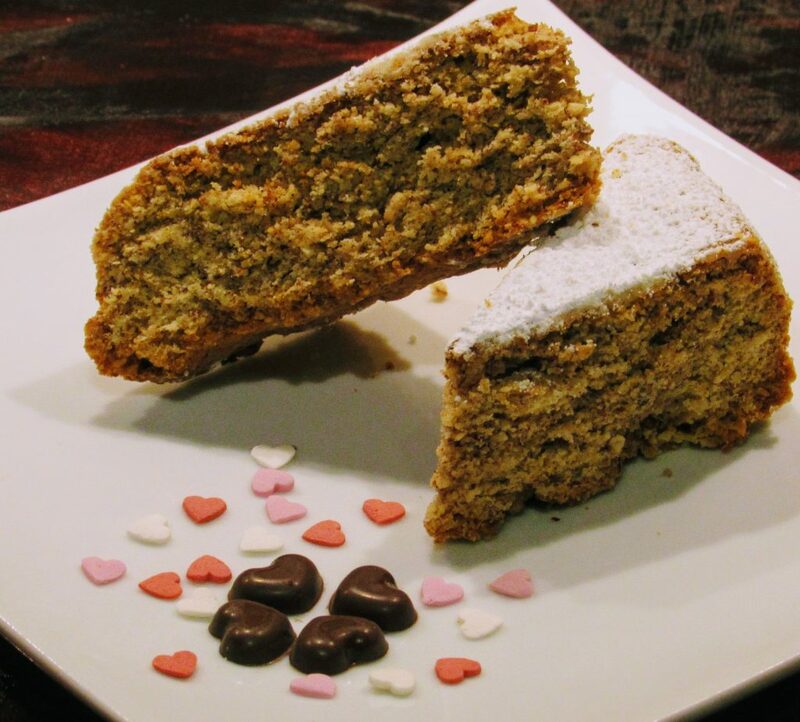 Are you curious of the Almond Cake for Valentine’s Day? And here we go for our Almond Cake for Valentine’s Day. Enjoy baking it! 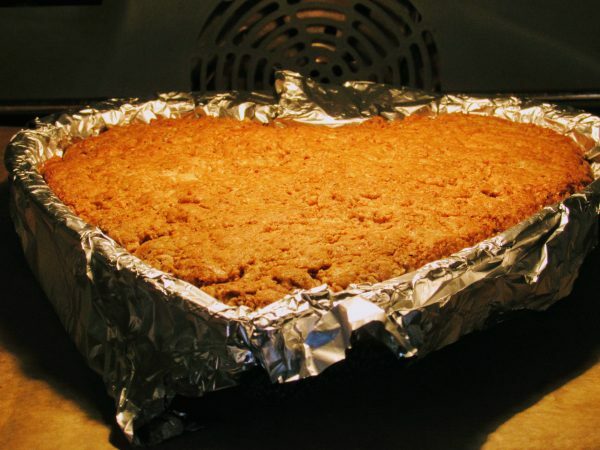 Grease the heart cake pan and spread it with bread crumbs to assure that your baked heart will release from the pan perfectly. Preheat the oven to 160 degrees Celsius (320 degrees Fahrenheit) upper and lower heat. Put the butter into a saucepan and melt it at low heat. When the butter is melted set it aside to cool down. 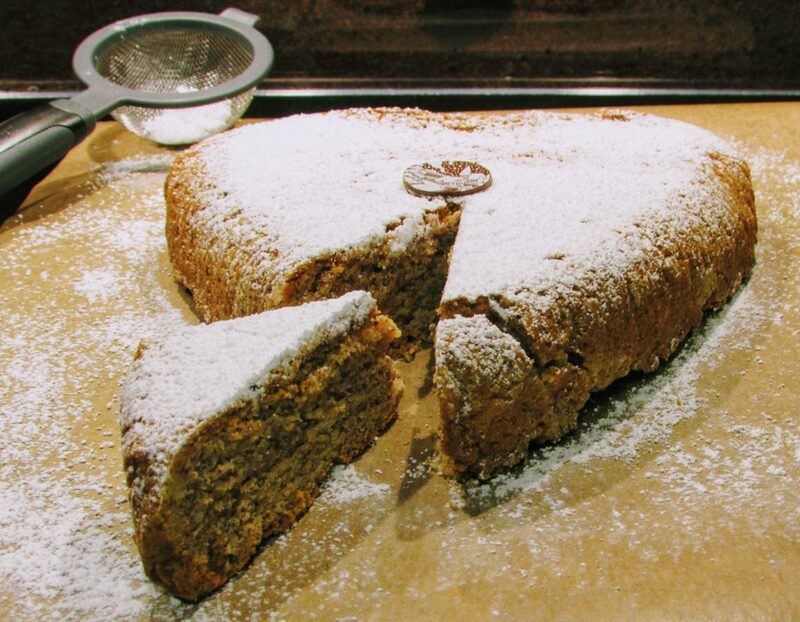 Put the spelt flour and the baking powder into a bowl. Mix the spelt flour with the baking powder. Add the eggs, the sugar, the almonds, the lemon zest, and the melted butter. Stir well using an electric mixer until the dough is smooth. Pour the dough into the prepared heart cake pan, place it on the middle rack in the preheated oven and bake the heart for an hour. 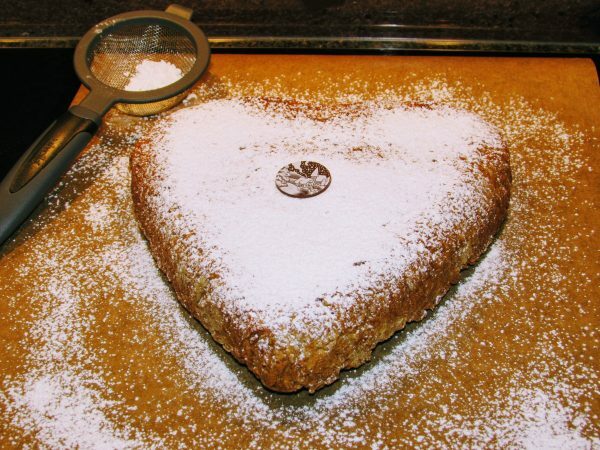 Remove the cake from the oven and allow it to cool, before dusting the almond heart with powdered sugar.